Login credentials are a necessary part of any loyalty program. Whether you’re looking to add a registration system or Social Login capability, or just want to simplify your technology vendor ecosystem, we offer comprehensive Identity Management Services to supplement your Customer Loyalty program. Streamline the checkout process and simultaneously collect robust social graph data by enabling your customers to create an account and log in to your site using their existing social media credentials. 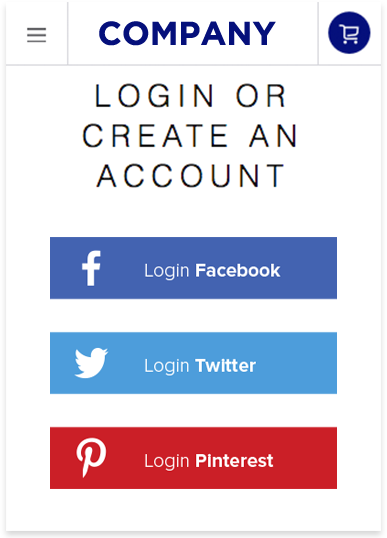 Social Login reduces password fatigue, lowers shopping cart abandonment rates, and delivers powerful demographic and social data. Understand the full business case for Social Login and get valuable insights from our Customer Success Team in our Social Login: Frequently Asked Questions white paper! 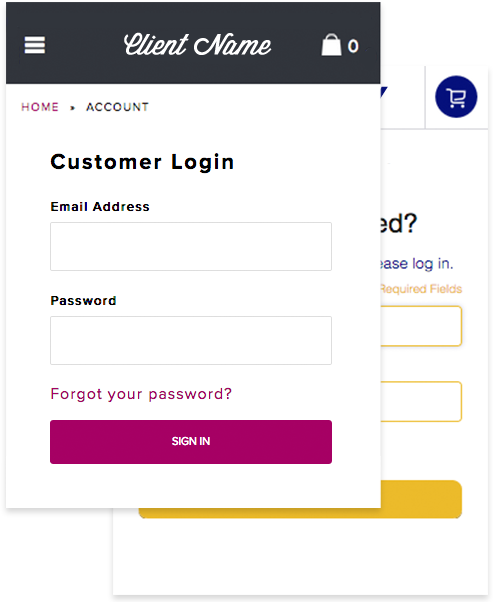 Unify login credentials across your multiple web properties and make checkout simple for your customers. By giving customers a single login for all your web properties and brands, you can reduce friction at checkout, encourage customers to explore your multiple brands, and deepen your customer insights. 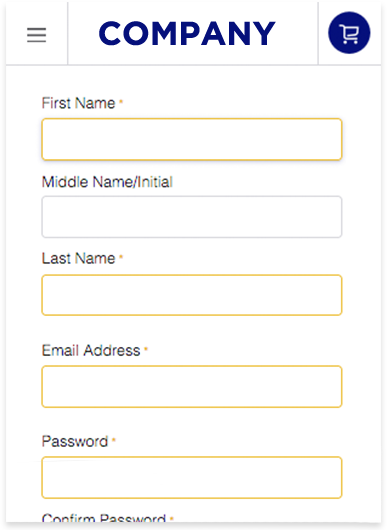 A unified platform makes adding an entire registration system into your website easy. 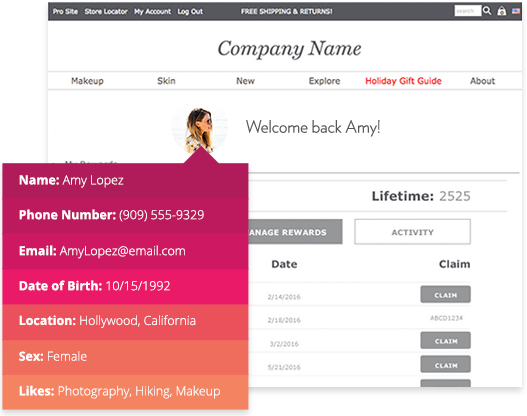 Not only is our Registration as a Service comprehensive, safe, and secure, but native registration linked with Customer Loyalty also makes processes like checkout integration and advanced personalization effortless.